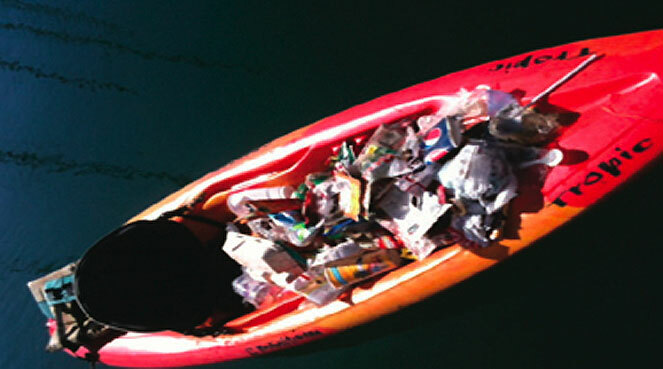 CHANNEL ISLANDS HARBOR — Volunteers are needed — aboard dinghies and kayaks, as well as on shore — to help collect litter and debris from Channel Islands Harbor. And locals are being encouraged to dispose of and recycle a variety of unwanted items during an annual Channel Islands Harbor Community Cleanup. Both events are set for the weekend of Sept. 22-23. The annual CI Beach Community Services-hosted Community Cleanup Day — set for 9 a.m.-2:30 p.m. Saturday, Sept. 22 — will allow locals to recycle or dispose of electronic waste, bulky items, appliances (no refrigerators or air conditioners), residential yard waste, metal, cardboard, paper, plastic items and more, at no cost. (No hazardous waste, tires or propane tanks will be accepted.) Vintage Marina Partners will provide the event’s trash collection site, at Channel Islands Harbor Marina, 3850 S. Harbor Blvd. On Sunday, Sept. 23, boaters and other volunteers can use dinghies or kayaks — or walk the water’s edge on foot — to collect litter and debris during the community’s annual Harbor Cleanup Day, from 9 a.m.-1 p.m.
All Harbor Cleanup Day participants can enjoy a free lunch after the cleanup at 1:30 p.m., hosted by Anacapa Yacht Club. Volunteers will meet at Anacapa YC, 2810 S. Harbor Blvd. There will also be a raffle. For more information, call Vintage Marina at (805) 984-3366.